US President Donald Trump will host Gulf leaders separately in a bid to pave the way for American-Gulf summit scheduled for next spring, albeit in May in Camp David. This year’s meeting is different than those in previous years as almost a one-year rift between Saudi Arabia, the United Arab Emirates and Bahrain with Qatar still exists without being resolved in spite of all endeavors and shuttle missions of American officials to the region. The meetings this year with Trump will not help solve the issue as it is structural that requires Qatar to break its ties with the Muslim Brotherhood and to deport its leaders from Doha. Gulf leaders are preparing for the "pilgrimage" to the United States in March and April to discuss the possibility to hold a US-Gulf summit, which has become an annual tradition, since the first meeting of this kind at Camp David, the American presidential resort in 2015. 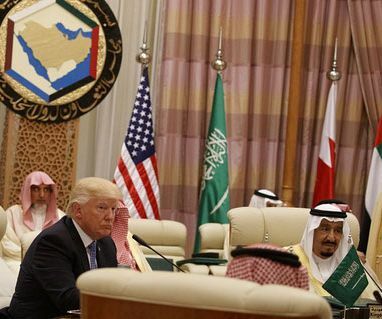 While it is not clear whether the upcoming talks will result in the summit being held in its fourth edition after the last summit held in Riyadh, on May 21, 2017, it sounds that both sides of the Gulf conflict are preparing to gather as many power cards as possible to go to the White House, voicing hope to strengthen their attempts to gain the administration’s advocacy and support at the expense of the other side at a time Washington is not ready to resolve the dispute in favor of any of its four allies. According to information provided by senior US officials two days ago, the first to arrive to the White House will be Saudi Crown Prince Mohammad Bin Salman on March 19, 2018 after a stopover in London where he is expected to meet with British Prime Minister Theresa May. His agenda hasn’t yet been revealed, but he will head from London to New York, Washington, San Francisco and Texas for talks on energy, technology, politics, industries, capital markets and education. Abu Dhabi Crown Prince Mohammad Bin Zayed will visit Washington two days later, followed by Emir of Qatar Tamim Bin Hamad Al Thani who will visit the White House in April. Will Washington succeed to end the conflict? Many argue that the US administration will not be able to reunite the Gulf allies because the US is benefitting more once they are not united. However, the constant focus in the coming meetings will be on counterterrorism as Trump will call on Qatar to take "more advanced" steps in this area and reward Doha for "obedience" to a series of agreements signed during the US-Qatar Strategic Dialogue last January. Washington would succeed in bringing together Gulf leaders under the banner of countering terrorism with the aim of reaching a symmetrical views to enhance effectiveness on many fronts as Secretary of Defense, James Matisse, said earlier. Qatari Foreign Minister, Mohammed bin Abdulrahman Al-Thani announced his country's readiness to participate in the US-Gulf summit, expressing his belief that "the situation will be under control in the end," stressing "Qatar is sparing no effort in fighting terrorism, and all countries can do more." The UAE Minister of State for Foreign Affairs, Anwar Gargash, said that "Saudi Arabia, Bahrain and the UAE should be given the credit as all the Qatari previous policies which include funding and financing extremism and terrorism have decreased. Qatar would not have conceded in this regard without such pressure form the three states, according to Gargash. In spite of this, the dispute between the Gulf states has started to have other political dimensions that the US administration may not be interested to deal with, leaving a regional mediator, Kuwait, to play the role to bring the parties together. However, Kuwait feels now it is targeted in a way or another, driving it to call the British to have a military base in Kuwait, fearing military escalation. Saudi Foreign Minister Adil Al-Jubeir said last week in Brussels that "Qatar is a small issue if compared to other important issues in the region”. However, Qatar continues its efforts by running media propaganda and diplomatic war to serve its own interest and to clarify its own stand at the international level. As it happens every time when the Israeli municipal elections get closer, one will see voices calling the Palestinians in East Jerusalem to break their boycott to those elections. So far the Palestinian participation in those elections did not exceed one to three percent in all of its rounds. The explication of this very low turnout by claiming that the East Jerusalem Palestinians are afraid from the PLO and that the factions , is disrespectful to both the people and the factions. The people in Jerusalem are acting according to their believes rather than according to what the factions ask them to do, also the factions actions are usually not directed towards terrorizing their people. The public opinion poll that Haaretz published last month claiming that 59 percent of the East Jerusalem Palestinians are in favor of voting in those elections looks to be representing the positions of one segment from East Jerusalem Palestinian population rather than representing all segments of this highly fragmented society due to the Israeli occupation policies since 1967. The argument of those who call for Palestinian participation in those elections include that this participation will give the Palestinians their rights in the municipal level, might create a freeze of settlement, and also it might bring out a good response to President Trump decision about about “ Israelizing” Jerusalem as a whole( See for Instance Uri Avnery response to Abraham Burg proposal of a list to be led by Ahmad Tibi for those elections both published in Haaretz few days ago). These claims are based on the assumption that the Palestinians might succeed in those elections together with the Israeli colleagues in the list because of being around 40 percent of the population. The assumption is awkward because the ability of such a list to win the elections by exploiting the rift between the secular and the religious communities among the Jews, which was possible in the past is not any more possible after the right wing religious and secular segments became able to unite their forces both in the Israeli government and in the municipal levels as well in the last few years. Therefore the failure of the list is highly likely. Besides that if it won, will that lead for reversing or at least freezing the settler colonial expansion?. An issue that all know for being key for Zionism. Looking to the experience of the Palestinians inside Israel participation in both the Knesset and the local council elections will teach us that at the end the procedures of taking over the Palestinians lands and expanding settlements on their expense continued since 1948 despite this participation. It is then a wishful thinking to find easy solutions to more complicated issues by suggesting that electoral ways as if they are being capable to reverse or at least stop a settler colonial project who aims to take over more and more territory, and to replace and displace. In the contrary other means are required to “ defeat” such project, these include initiating a comprehensive non violent campaign with global participation( including the Israeli like minded participation), building Palestinian Community unity and resilience versus fragmentation, and recreating a bottom up Palestinian Municipal structure that will assist also to prepare for the Palestinian independence. Failure of the Palestinian side to launch these kind of alternatives paved the way for the growing voices calling for rotten ideas such as joining the Israeli municipal elections, as being the only salvation for the Palestinian status in the city before being lost!. Transforming this “ doom day” claim , will require first from those who are calling for it to change direction and to join fully the Palestinian non- violent struggle, and to lend hands to assist building the resilience of the Palestinian communities in East Jerusalem according to the needs of those communities rather than according to the imagined forms of these needs by the initiators as it usually take place by different projects that are” targeting” East Jerusalem Palestinians instead of working according to their real needs. Besides that all who call for the Palestinian participation in the municipal elections of West Jerusalem should be able to show a respect to the Palestinian municipality of each Jerusalem that still exist since 1967, and reappointed by President Yaser Arafat in 1998, and then by President Mahmoud Abbas in 2012. Those who call for the participation in the Israeli municipal elections should be able to change direction and think instead in how to assist this Palestinian Municipality that is still symbolically exist to become factually existing through creating the connections between it and the East Jerusalem communities, and therefore create one additional step towards disengaging with occupation towards Palestinian independence. Several scenarios were developed in the last few years for how to make this link between the Palestinian municipality and the East Jerusalem communities and most of them are doable. Such a change of direction became also more and more required specially after the last January resolution of the PLO Central Council to “revive the Palestinian East Jerusalem Municipality in the basis of the best democractic and Representetive methods that are possible”. Is it possible to express respect of this dicision and to try to find out how to support it towards implementation?. Besides that major discussion there is the other one of asking East Jerusalem Palestinians to vote to Meretz in order to increase its seats number in the municipality. Such a call leads to a violation to the Palestinian boycott, and it cannot be tenable. Meretz will be required as it is mostly doing to keep supporting the Palestinian independence in East Jerusalem and the fullfilment of the Palestinian needs in the city in the basis of its principles towards the two states solution, without waiting to get a reward for that from the victims of its country occupation. Finally, in Jerusalem the adminstrative and the political are strongly linked. Here both are intertwined. In Israel the decisions regarding Jerusalem are made by the Government and its ministry for Jerusalem and not from the Municipality only. In Palestine there are a ministry of Jerusalem and PLO department of Jerusalem. 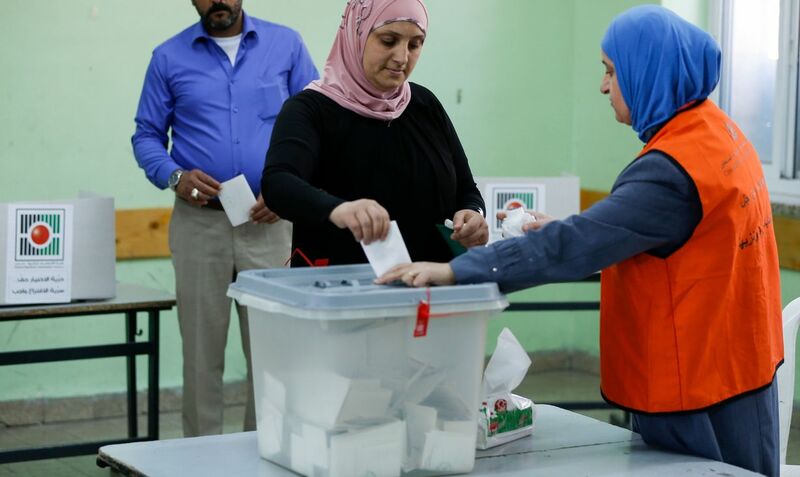 Claiming then that the Palestinian participation in the municipal election will not lead to political results that are against the Palestinian rights of independence and building the steps towards it, is a rotten and awkward kind of claim and it’s ramifications were explained above. Further than that Palestinians will not seek for improvement of the services to them within the framework of the” Israeli United Jerusalem” by participation in the Israeli municipal elections, especially when this participation will be also in full contradiction with their political aspirations, and with their daily life needs that they will be better to befulfilled by sustaining the Palestinian municipality in the city opposite to its 1967 illegal dissolution by Israel. Few days ago, Qatar signed an agreement with Turkey to establish a naval base which will include a training center for maritime patrols and monitoring. In addition, 60,000 Turkish soldiers will be deployed across four military bases abroad in accordance with a new 2022 military plan set by the Turkish ministry of defense. Two of these bases are in Qatar. What is the purpose of these bases and why Turkey is interested in Qatar at this time? 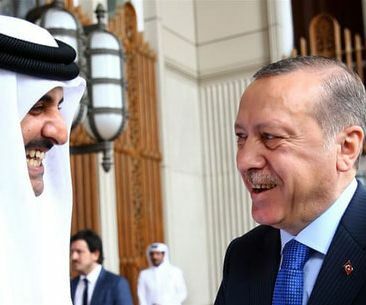 Though there are some unequivocal political and security extents to Turkish foreign policy in the Gulf region, the overall motivation is economic after Qatar had shown a major challenge against the US. Once Washington started to abandon Doha after the June 2017 political rift, some figured out that the Americans would move their al-Udaid Base in Doha to another country. This has been the opportunity for Turkey to restore its military presence in the region at the expense of others. The real justification is to protect Qatar from any external threats and to secure economic and investment interests for Turkish companies. Whether Turkey would survive any political turmoil or near its borders, this is mostly likely based upon a number of factors. The first is if the Kurds in Syria resist the Turkish troops and cooperate with the Syrian army, the Turkish dream to have a foothold in Syria will fail. The second is the military bases in Qatar, which were announced by both Ankara and Doha. The significance of the bases depends on the developments in the region. When Qatar announced that it has intentions to host World Cup 2022, Turkey announced its military and security presence in Qatar accordingly since 2015. In the meantime, American military experts do believe that the US could have already begun to abandon Qatar, close the Air Force base, and started thinking of moving other countries in the Middle East region. Some believe that these countries would be Jordan, Oman or the UAE. The reinforcement of Turkish army in Doha is viewed as a means to fill the vacuum of the American army when Washington takes the decision to leave the base. That is why the American Army built a military base in Nejev desert last year. As Turkey has helped the US to expand and strengthen the al-Udaid base, this would facilitate the Turkish mission to replace the Americans when they leave. Since Qatari officials are increasingly cognizant that the US cannot pardon Qatar’s actions, Turkey has started paving the way for its forces to take the lead in Qatar. Back in 2003, Qatar welcomed the headquarters to al-Udaid Airbase after the US Central Command vacated Prince Sultan Airbase in Saudi Arabia. Since al-Udaid is deemed the largest American overseas airbase, this justifies the big number of Turkish troops to be deployed in Qatar to replace the Americans as the base has two active runways. In November 2017, during his visit to Qatar, Turkish President Recep Teyyip Erdogan reiterated his country’s support for Doha militarily, politically and economically including the participation of the Turkish private sector in the implementation of the 2022 World Cup projects in Qatar. Thus, the main reason behind Turkish military expansion in the region, chiefly the deployment of its troops in Qatar, is to undertake future projects as there are 30 Turkish companies carrying out projects in Doha in the construction sector. Because both Ankara and Doha have been mutually isolated, they are speeding up their bilateral relations, mainly in economic fields. Turkish companies have won $8.5 billion tenders to construct infrastructural projects for World Cup 2022. Therefore, for the World Cup’s preparations that are under way, Ankara seeks more economic and investment opportunities in Qatar. Its military presence is the only a means that can secure Ankara gains these bids. Qatar has earlier announced that Turkish commercial corporations will be given priority for businesses during the World Cup. However, the Federation Internationale de Football Association (FIFA) has its Plan B if Qatar fails to meet the criteria set by the federation, granting the country the right to organize tournament for three countries that have already applied for hosting the 2026 World Cup, namely the United States, Mexico and Canada. The decision about Plan B is expected to be taken in the end of June or September, according to reports. In conclusion, the Turkish military presence in Qatar is not for the sake of bolstering bilateral relations, it is partly for fighting "any potential enemies" and also for economic benefits for the Turkish economy which is facing many hardships due to state of isolation of Turkey from many countries. Rex Tillerson’s final overseas visit before Donald Trump fired him as US Secretary of State was to Africa, where many global and regional powers are coming into direct competition. Tillerson’s trip came within the framework of the American administration’s bid to secure its influence in Africa following the humiliation caused by President Donald Trump’s alleged comments, which badly affected Africa-US relations. Tillerson’s visit was also to compete with the Chinese and Russian influence in Africa, as the continent becomes like a tart that should be divided among these powers and some other less-developed regional players such as Turkey, Iran and some Middle Eastern countries. Visits to the continent by Tillerson, Turkish President Recep Tayyip Erdogan and Russian Foreign Minister Sergey Lavrov all came just a few weeks before the African Union announces the huge Continental Free Trade Area, which is expected in April and will make the African economy and its markets a global economic bloc that all countries should take into consideration. The continent’s Gross Domestic Product will amount to about $3.5 trillion annually and the population is estimated to reach 1.3 billion by the end of 2018. Many African countries are also working hard to counter terrorism and eradicate corruption. Statistics issued by the World Bank forecast that Africans will make up 40 percent of the world’s population and 30 percent of its workforce by 2100. 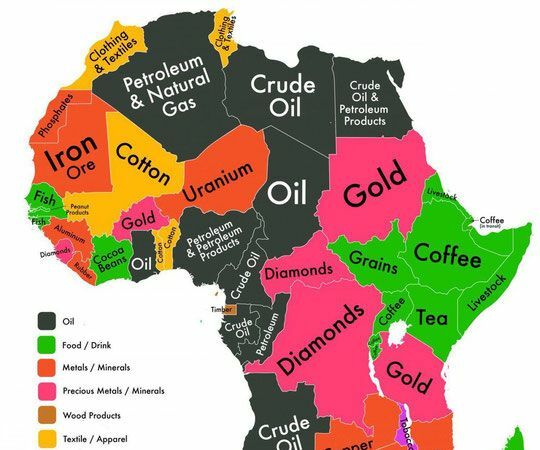 Africa will also continue to be a major natural resources and raw materials reserve. Economic and political experts believe that whoever controls Africa controls the world — after all, Africa is the bridge between America, Europe and Asia. The visits of Russian, American, Turkish and Chinese officials to Africa stem from their readiness to help African states fight terrorism. This is one of the pillars Tillerson relied on in his tour. He wanted first to beautify the image and reputation of the US in Africa and to neutralize Russia and China on the continent, as many governments are geared toward enhancing economic as well as trade ties with Moscow and Beijing. This explains why Tillerson warned African governments not to ink arms deals with China or approve any military assistance from Moscow. Conflict and political rifts between the US, China and Russia are shifting to the fast-growing continent, where many new geopolitical and economic opportunities are available. Tillerson also tried during his tour to erase, which was cut short by a day so he could return to Washington and face the music, to erase the tensions caused by Trump’s alleged remarks on African countries two months ago. He voiced his country’s commitment to supporting development and democracy, and to building bridges of trade and investment relations with the continent. Over 30 percent of Chinese firms in Africa are in industrial fields, compared to only a small fraction of the American businesses operating there. However, 90 percent of American businesses in Africa are oil-related. China has supported development in Africa without enforcing terms and conditions that would turn Beijing into a political dictator or an economic authoritarian. In short, the Chinese have adopted an approach that focuses on the establishment and development of infrastructure and transport projects across the continent. China’s projects include funding a $3.2 billion railway network in Kenya, which was inaugurated last year, and the construction of the African Union headquarters in the Ethiopian capital. This was fully built by the Chinese and handed over to the AU as a gift in 2012. It is not only Ethiopia that the three great powers fight over, it is also Djibouti, where China has built a 750-kilometer railway connecting the coast with Addis Ababa. Security-wise, China has begun to expand its military presence in the Horn of Africa, specifically in Djibouti, to support anti-piracy efforts in East African waters. Beijing has also deployed 3,000 peacekeepers in Africa under the flags of the UN and the AU. Turkey has also regarded Africa as an area open to expanding its interests, which are ambitious, but not up to the level of Chinese, American and Russian dreams. Turkey’s attitude toward Africa has been palpable in meetings between the sides since 2011, and has been crystallized in a military base in Somalia. Since 2003, Erdogan has undertaken many trips to Africa, the most recent of which last month saw him take in four major countries: Mali, Senegal, Mauritania, and Algeria. Turkey has greatly increased its embassies in Africa, while Turkish Airlines reaches nearly 50 destinations on the continent. Significantly, at the end of 2017, Ankara and Khartoum announced cooperation to rehabilitate the Sudanese island of Suakin — a former Ottoman era base on the Red Sea. For Russia, Africa is a buffer zone against America's expansionist policies. Last week, Lavrov made a state visit to Zimbabwe as Moscow searches for an African foothold following the overthrow of former President Robert Mugabe. Lavrov began his African tour on March 6, Tillerson two days later. The Russian minister’s schedule included five sub-Saharan countries — Angola, Zimbabwe, Mozambique, Namibia, and Ethiopia — while the American took in Ethiopia, Djibouti, Kenya, Nigeria, and Chad. It seems that conflict and political rifts between the three major world powers is shifting to Africa, and that new geopolitical and economic interests are on the rise. This may ultimately ignite a new world war, but this time on the African chessboard. It is significant for a Syrian opposition member to take a photo with a top American official. When the US Secretary of State Rex Tillerson held a meeting in Jordan’s capital, Amman, with the head of the Syrian Negotiations Commission, Nasr al-Hariri, and an accompanying delegation on February 14, the photo, which went viral, signaled how Jordan is set to play a major role in the outcome of ongoing conflicts in the tumultuous Middle East. Indeed, the meeting suggested that Amman is emerging as an increasingly influential actor following the decision made by US President Donald Trump last year to recognize Jerusalem as the Israeli capital. Thus, the American official’s visit to Amman was well-received in the Hashemite Kingdom where the leadership is eyeing a new role in Syria. This new role is in line with Jordan’s current one in the American-Russian pact vis-à-vis the de-escalation zones. Washington sent Tillerson days after US Vice President Mike Pence’s visit to Amman. 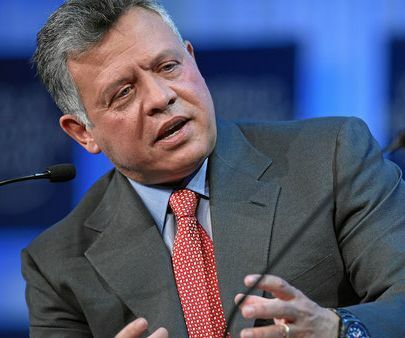 King Abdullah II voiced Jordan’s concerns and trepidations about the ramifications of Trump’s policies vis-à-vis the Palestinian-Israeli conflict, which many Jordanians fear will undermine stability in the Hashemite Kingdom. The Jordanian monarch’s message reached Washington, which sent Tillerson to Jordan for primarily three main reasons. The first was to strengthen US-Jordan relations in a host of domains from security to economics and mil-mil cooperation. The second was to signal support for Amman’s new role in the Syrian crisis as a host of the moderate Syrian opposition which embraces the idea of finding a political solution to the seven-year conflict. The third was to back Jordan’s role in talks between the Palestinians and Israelis. Although Tillerson’s message to the Jordanians (and other Arabs too), which he made through his meeting with the King of Jordan, was that the Trump administration’s position on Jerusalem is not currently effective and will take years to crystallize. Yet the top American diplomatic chief’s message failed to assuage King Abdullah II’s concerns as the monarch’s fears pertain to the loss of Hashemite custodianship of the holy sites in Jerusalem. In an effort to persuade Washington to embrace a different position toward Jordan, Amman has had to pursue two goals. The first has been to grow closer to Muslim countries that oppose the US recognition of Jerusalem as the capital of Israel, chiefly Turkey, and to a lesser extent Qatar and Iran as well. The second has been to accept America’s decision but secure assurances from Washington that Jordan remains a key partner of the US in the Arab world. Thus, Amman is seeking to diversify its alliances vis-à-vis deeper relations with Ankara, Doha, and Tehran without burning any bridges with America. As Jordan is undergoing a tough economic crisis, the Jordanian government’s image has suffered at a sensitive juncture in the Hashemite Kingdom’s history. Unquestionably, the renewal of American financial and military support to Amman came at an opportune time, offering Jordan’s political leadership an opportunity to salvage its reputation. The Trump administration’s support for Jordan will help American foreign policy decision-makers approach complicated and multifaceted conflicts in the Middle East in which Amman’s diplomatic efforts will prove valuable. Tillerson’s visit to Amman was on the eve of King Abdullah’s meeting with Russian President Vladimir Putin. While meeting with America’s chief diplomat, Jordan’s monarch conveyed his understanding that Putin holds the key for resolving the Syrian crisis. King Abdullah II, who has the American backing, talks to the Russians in his capacity as a liaison between regional powers and Russia. By hosting such a meeting with Tillerson and the moderate Syrian opposition, Jordan is carefully treading the Middle East’s geopolitical fault lines. Amman seeks to reward Turkey for its stance on the status of Jerusalem without crossing any ‘red lines’ in terms of moving to close to Iran and/or Lebanese Hezbollah while still keeping some options open with respect to Jordanian-Iranian relations within the context of Jordan’s understanding that Tehran is an actor to contend with in the future of Syria and the region at large. In sum, Amman is looking East without sacrificing its alliances with Western powers, chiefly the United States. At this juncture, Amman has found itself dealing with four key actors in Syria: Russia, the Syrian opposition, Turkey, and the United States. Yet what remains to be seen is how Amman’s embrace of these four actors impacts Amman-Damascus relations. Most likely, this role that Jordan plays will undermine the prospects for any rapprochement between Jordan and Syria with Jordan’s northern border likely remaining closed until further notice. Another important variable worth observing is how much the Gulf Cooperation Council (GCC) states choose to financially support Jordan amid this period of economic stress in the Hashemite Kingdom. By turning to Turkey for a closer relationship, Jordan is unquestionably angering the United Arab Emirates (UAE) and other Arab states that have a negative perception of Turkey’s increasingly bold foreign policy in the region. Without any oil and beset by the destabilizing effects of different conflicts on its borders, Jordan remains highly vulnerable to the impact of continued warfare in Syria and pressures from many actors that are vested in pressuring Amman to play different roles in the Middle East. Cautiously, the Jordanian leadership is keen to avoid aligning too closely with any coalition or axis for fear that Amman will lose flexibility as developments unfold quickly in the region. The situation in Syria is heating up, as the international powers play an expanding geopolitical game on the Syrian chessboard. The sequence and timings of recent events raise many questions. The situation in Eastern Ghouta is developing in the same way it has for the past several months without attracting much attention from the international community. However, following continuous violations of the de-escalation zone by militants, targeting residential neighborhoods in Damascus, both Russia and Syria have intensified operations in the area. 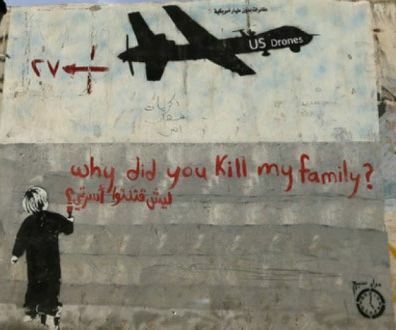 The situation is aggravated by the presence of Al-Qaeda-linked groups and militants using civilians as human shields; a common tactic in civil wars. The media reaction was started by activists on the ground, reporting through text messages and WhatsApp about the calamitous situation in Eastern Ghouta. 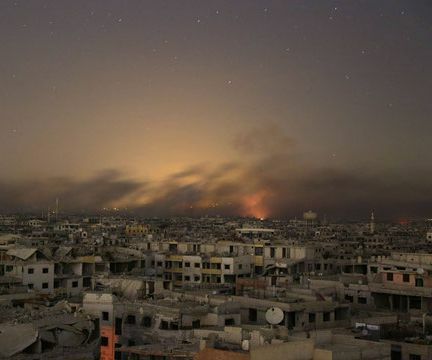 However, it seems nobody was paying attention to the fact that Damascus is also populated by civilians, and the constant shelling of the city is causing death and destruction. It seems as if not all lives matter to the international community. The international coverage of Eastern Ghouta shows how biased and subjective media coverage is compared to what Afrin is undergoing at present; just because Turkey, a Western ally and a NATO member, is acting against the Kurds, whom Ankara labels as terrorists. Thus, it is apparent that the West needs Ankara right now more than Turkey needs the West. This justifies why the latter does not denounce what the Turkish army is doing in Afrin, while blaming the Russian and Syrian armies for their role in Ghouta. Turkey looks the potential winner in the tug-of-war between Russia and the West, as both need Ankara in the war against terrorism. The losers here are the Kurdish people, as they appear to be mere pawns in the geopolitical game. The entire international community bears responsibility for the conflict as, instead of solving the crisis, all the players prefer to engage in geopolitical games using their pawns on the ground. After long debates at the United Nations Security Council, the members unanimously voted for a resolution requesting a one-month armistice in Syria. As expected, the armistice is not working. The international media reported a probable chemical attack in the suburbs, after which the UK threatened to strike Damascus, as if Western powers have the right to strike any country they want. When the British and Americans invaded Iraq in 2003 after suspecting that Iraqis were producing biological and chemical weapons and long-range missiles, the reports were proven to be false. Launching such strikes on Syria now could bring about the same result. The UK and the US are picky in their reporting. They forget how many people have been killed in Iraq or how many were killed recently in Deir Ezzor. They channel their news coverage to serve their own interests by distorting the image of other nations. Attempts to ease the humanitarian status have been disrupted by militants. It is common knowledge that Ghouta is suffering from starvation and illnesses, and civilians, spending most of their time in basements, want to get out from the suburb. However, the militants do not let them out, forcing families (who reach the checkpoints, seeking to leave Ghouta for safety) to return. The rebels are using the civilians in their own media game and abuse them as human shields. British Foreign Minister Boris Johnson laid responsibility for the disastrous situation in Syria on Russia. His tone was clear, and the direction everything is now moving is becoming clear as well. It seems that American procrastination over a political settlement in Syria is aimed at partitioning the country. This violates the US-Russian agreement and thus Moscow will be forced to counter US efforts to divide Syria and will play the game until the end, including not allowing the Americans to have a base there. Meanwhile, the risk of a clash between the US and Russia over Syria is on the rise. The consequences of such a scenario are hard to calculate, but Russia is undertaking diplomatic measures to avoid such risky developments. Moscow is calling on the Western powers to use their influence on the rebel groups. Russian demands are simple: Once the rebels stop shelling the city, the strikes will be stopped. The terrorist groups should also leave the area, as there is no way they will be accepted as a part of cease-fire talks or any agreement. Had this been achieved already, humanitarian missions could have gained access to the affected areas sooner. All of this can be achieved through international cooperation and the proper exercise of pressure on the militants on the ground. Saudi Arabia’s Crown Prince Mohammad bin Salman, deputy premier and minister of defense’s visit to the US is very indicative at this time as it is the first for him as crown prince and it paves the way for proceeding ahead with economic plans in pursuance of Vision 2030. The crown prince arrives in Washington DC with five agendas: economic, political, military, technology transfer and financial investments. He will tour New York, Washington DC, Seattle, California’s Silicon Valley, Houston and Boston with the aim of improving Saudi-American relations. The United States and Saudi Arabia have a common vision on international issues. Given the changing geopolitical scene, the two countries have utmost interest to maintain strong ties and sustain friendly relations. The Crown Prince’s US tour will include a planned meeting with US President Donald Trump and his advisers. He will pay visits to Wall Street in New York and to the Silicon Valley in California and Seattle for heavy industries. He is expected to tour Houston for gas and oil talks and in Boston for higher education cooperation. This is their first meeting since last May 21, 2017 when Trump visited Riyadh. The Crown Prince is also set to hold talks with Apple and Amazon executives to open outlets and data centers in Saudi Arabia, in a bid to redirect the Saudi economy to be knowledge-oriented and technology-based, benefitting from American expertise to turbo-charge his plans to turn the kingdom into a new Silicon Valley Hub in the Middle East. There is a historic alteration in the nature of economic relations between Washington and Riyadh, from oil to economic development and financial and technological investments. The slated agreements to be signed will shape the nature of future economic partnership between both countries as the pacts will enhance investments through joint ventures, through American backing of investments in Saudi Arabia or through supporting Saudi investments in the US treasuries or through offering Aramco shares the New York Stock Exchange as Trump is vying with London to host the stock market listing of Aramco which is estimated at $1.5 trillion. Since last May, such huge agreements which are expected to be signed in the US could not have been achieved without a colossal modification in the nature of Saudi economy that albeit determines the relationship between Riyadh and Washington as the latter has pushed Saudi for more modernization for full capacity of cooperation to support Saudi Vision 2030. The Crown Prince’s visit is promising to launch a new era of relations between the two countries with qualitative changes in strategic relations for a long term strategic and economic partnership through diversification of the kingdom’s economy. 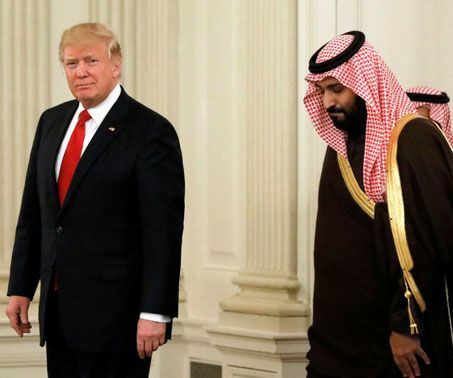 Thus, the visit does not stand at the traditional basis, and is different from previous Saudi officials’ visits to the US because it opens the door to major financial and investment firms and corporations in the US and in Saudi Arabia to launch joint ventures and investments after an American greenlight for domestic foundations to set up projects in Saudi Arabia. The visit sends a series of messages to key players at the regional and international levels. According to some experts, the visit is slated to witness a greater inflow of international investments into the Saudi economy, mainly in technological fields. The Crown Prince seeks from his tour to New York to gain further support of Riyadh as a global industrial and financial center in the Middle East through new qualitative partnerships with leading American companies. Both Saudi and US leaders have sharp anti-Iran positions, which brings the current US administration closer to Riyadh. The Obama administration had seen unbridled rigidity and uninhibited pressure in the relationship between the US and the Gulf Cooperation Council (GCC) because the former president ignored Iran’s orientations and actions in the region at the expense of Arab Gulf state’s interests. This was part of the process of restructuring US foreign policy toward the Middle East and rapprochement with Iran, with the aim of strengthening what Obama considered moderate wing in Tehran, leading to 2015 nuclear deal with Iran. Trump’s visit to Saudi Arabia last year was aimed to restore these relations and build on them for a sustainable peace in the Middle East. The upcoming visit of the Crown Prince aims to rebalance US policy toward the region as former American administration has adopted policies against the region’s interests, which allowed Russia and China to return to the region as key players by formulating alliances, mainly with Iran and Turkey. Among the topics on the Crown Prince’s visit are combating terrorism and extremist factions as well as efforts to counter Iranian interference in Arab affairs. The two sides are also likely to discuss the war in Yemen and Syria, mainly the current developments in Eastern Ghouta. The Palestinian-Israeli conflict is on top of the agenda of the Crown Prince as his visit comes few days after Israeli Prime Minister Benjamin Netanyahu’s visit to Washington and his talks with American officials regarding the final settlement of the Arab-Israeli conflict. The Crown Prince will try to convince Trump to postpone moving the American embassy to Jerusalem until final settlement is reached. Trump will open talks with the Crown Prince on a potentially lucrative nuclear power agreement, indivisibly connected to an Obama-era atomic agreement with Iran, with promises of billions of dollars in contracts for American firms. Saudi sources believe that Riyadh, in less than a month, will unveil the names of companies winning the tender for the construction of two nuclear power reactors, scheduled to start at the end of this year 2018, in a move Riyadh aims to enter the nuclear club for the first time in its history. Under the framework of the Saudi National Atomic Energy Project, Saudi Arabia aims to build 16 nuclear reactors over the next 20-25 years, which are to be under the supervision of the King Abdullah City for Atomic and Renewable Energy and are aimed at enabling the country to benefit from the peaceful uses of nuclear power. Trump knows that American companies are competing with Korean, Chinese and Russian. If he seeks to support the American companies in this deal, he has to give green light when he talks to the Crown Prince. Thus, Trump has to abandon certain controls that restrict nuclear proliferation. Therefore, if Saudis reach agreement without any restrictions, it would be a remarkable shift in US nuclear policy since 50 years. Saudi Arabia is eager to cement political, economic and military ties with the US through major deals that would change the nature of cooperation into win-win equation. Major focus, however, will also be on the “Century Deal” to end the Palestinian-Israeli Conflict. The Israeli settler colonial project started in East Jerusalem in early 1967, directly after the beginning of occupation. During the same period, the Palestinian resistance began as both an armed struggle – as in Gaza mainly from 1967 to 1972 – and a public movement of nonviolent resistance – as in East Jerusalem and the rest of the occupied West Bank. 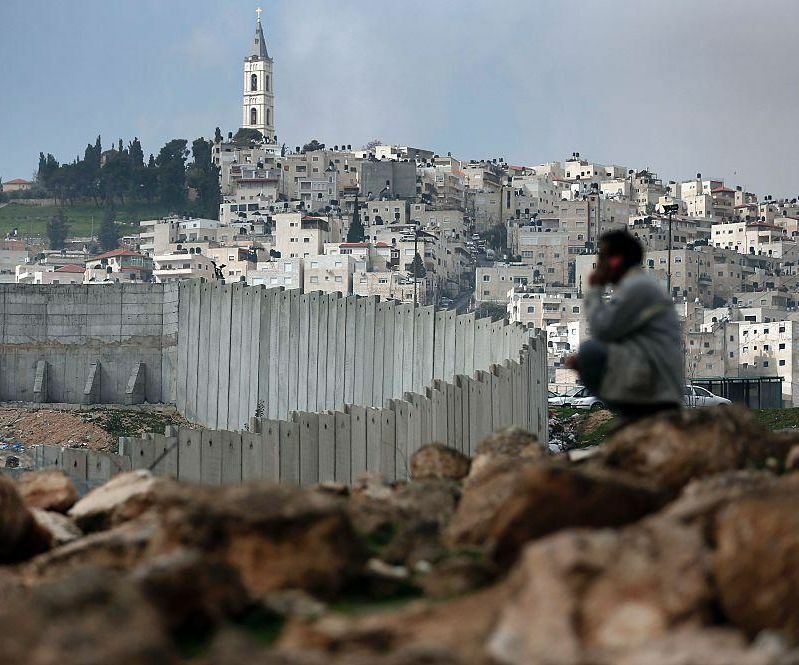 In addition to settler colonialism, the Israeli project in East Jerusalem has included a combination of belligerent occupation and apartheid policies. Later on during the same year, the Israeli Occupation Authorities deported Sheikh Sa’eh to Jordan, but the resistance continued. In Jerusalem, this resistance preserved the Palestinian Islamic and Christian Waqf Institutions’ independence under the leadership of the High Islamic Commission that was established immediately after the 1967 war. The commission worked in tandem with the Christian religious representatives in order to protect the holy places and the religious courts’ independence, and to contribute to the leadership and guidance of the resistance against the occupation. Using all kinds of creative measures, the Palestinian national institutions in East Jerusalem strove to protect themselves from being taken over by occupation. These included the chamber of commerce, the electricity company, the labor and professional trade unions, Makassed and Augusta Victoria hospitals (among others), and several charitable societies as well as the education sector. In this case the teachers undertook a long, successful strike in order to prevent the imposition of the Israeli curricula as the curricula for education in East Jerusalem schools. These successes in the early years of occupation were sustained by others in subsequent years. In 1973 the National Front was established in Jerusalem and consisted of national and left-wing factions and parties in addition to national personalities. The National Front led the Palestinian resistance until 1976. Several demonstrations were organized during that period of time, especially by students. A national strike followed the martyrdom of Muntaha Al-Hourani, a schoolgirl from Nablus who was assassinated by Israeli Occupation Forces in 1974. The Palestinian artist Suleiman Mansour drew an impressive portrait of her bleeding from the back while lying on the ground in her school uniform. For the Israeli Occupation Authorities, the combination of the struggle made by the Jerusalem-based National Front – in addition to the students and trade unions, cooperatives, and other organizations under the national front leadership – combined with the Arab Rabat Summit recognition of the PLO as the sole representative of the Palestinian people, meant that there was a need to make concessions. One of the major concessions was the cancellation of the 1975 plan to establish a civil administration, and the decision to allow the PLO-affiliated personalities to run for the municipal elections in 1976, which resulted in a big victory for a number of important personalities, including Karim Khalaf, Bassam al Shaka’a, and Ibrahim Al-Tawil, who became the mayors of Ramallah, Nablus, and Al Bireh, respectively. The elected mayors played the role of political guide for the Palestinians and did not limit themselves to the provision of services. In 1978 when the Camp David agreement was signed between Israel and Egypt, the mayors gathered with other personalities and the university student councils, the trade union representatives, and others in the premises of the trade unions in Beit Hanina, Jerusalem, where they declared their rejection of the Camp David Accords and announced the establishment of the second National Guidance Committee. In the early 1980s, the Israeli Likud-led government decided to dissolve the National Guidance Committee and initiated a war against the elected mayors. In the course of this campaign of persecution, Bassam Shaka’a’s car was bombed in June 1980, which left him in a wheelchair after he had lost parts of his legs and one hand. At the same time, the Israeli occupation authorities created the so-called village leagues that were connected to the Likud-created Civil Administration. It was led by Hebrew University professor Menahem Milson (between November 1981 and September 1982). He ended up resigning after the utter failure of his experiment to “organize village leaders.” The whole plan failed in all its aspects: To weaken the urban-based PLO supportive leadership on one hand, and to create a leadership that was loyal to Israel on the other hand. In addition, the village leagues were boycotted, even in their own villages, which led to their full collapse a few years later. As the Israeli government increased settlement expansion, with the number of settlers reaching 111,600 in 1993, it also hired Israeli professors such as Ezra Sadan to develop ideas for economic peace as an alternative to ending the occupation. These additional Likud policies strengthened Palestinian national aspirations and Palestinian support of the PLO, contrary to the aim of the Likud: that “the improvement of living conditions for Palestinians” as it was called then, would lead Palestinians to forget their national aspirations and the confiscation of their land. These developments ripened conditions for the eruption of the first Intifada that started in 1987. Jerusalem once again was the center of the Intifada leadership, continuing until the death of the leader Faisal al-Husseini in 2001, and the Israeli closure of the Orient House. This short overview has shown the centrality of East Jerusalem not only in planning and guiding the Palestinian popular struggle against the occupation from 1967 to 1987, but also in the protection of national institutions, the rejection of any compromise in the struggle for self-determination, and the strengthening and support of the PLO as the sole representative of the Palestinian people. * A chronology of the Palestinian resistance to occupation can be found in the annual volumes of the Palestinian Diaries and in the Palestinian documents (in Arabic) that were published by the PLO Research Center. Blurb: After 1967 the Palestinians refused to surrender their national institutions to the Israeli occupiers, continuing the Palestinian struggle for freedom. East Jerusalem was central to such efforts that ended up thwarting Israeli attempts to normalize the occupation and to create an alternative to the PLO. This strengthened the PLO’s status as the sole representative of the Palestinian people. Walid Salem is a lecturer on democracy, human rights, and conflict resolution at Al-Quds University, and a PhD candidate in international relations at the Near East University of Northern Cyprus. He is also a member in the PLO Palestinian National Council, and the director of the Center for Democracy and Community Development in East Jerusalem. 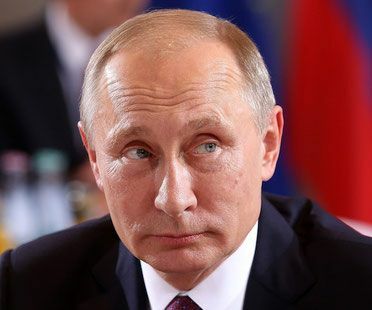 On March 18, Russians will go through the process of (re)electing their president Vladimir Putin for a fourth term as recent polls forecast. This foreseeable victory is not only affecting Russia but rather the world including the Middle East region which is close geographically to Russia. Russian-Arab relations are one of the most important pillars of the Kremlin’s foreign policy which hinges on political, economic and military instruments. The Middle East has become the base from which the rules of the new world order will be launched pursuant to the major powers’ interests, and the race between these supremacies to play the most prominent role in the Arab region will shape the Russian coming role in the next six years. To achieve Russian goals in the region, the Kremlin will focus on strategically exhausting Washington in the Middle East by dragging it into proxy wars and demonstrations in various places that affect its world reputation. Though Moscow realizes that the Americans regard the Russian army as second in power to their forces; nevertheless, Russia refuses to remain a second class world force and insists on the necessity to reshape the world’s balance of power. Russian presidential elections, unlike US elections, do not receive wide attention at the official and popular levels in the Arab world. This can be understood in light of the concerns of Arab peoples in general as most of the Middle East countries are western-oriented. However, the Russian elections are very important for the rest of the world as the winner in the coming elections will shape the relations not only between Moscow and Washington but also between Russia and other regional powers including China. At present, the Kremlin is giving due importance to the Middle East as it gives to Europe, the US and China in terms of foreign policy. Moscow’s pullout from the Middle East in 1991 marked the demise of the Soviet Union, as a superpower, which has taken Putin more than a decade to restore political and military status of his country back on track. Russia’s comeback as a pivotal player in the Middle East will target restoring Moscow’s position as a prodigious supremacy coming to the region which the Mideast has already witnessed with Russian army’s intervention in Syria in September 2015. When the Arab Spring erupted, the region has become a testing ground for Russia to return to the global arena through the Middle East gate. Thus, the coming victory of Putin will help establish Russian influence outside the Russian frontiers to extend to the world’s most capricious regions. The Kremlin will proceed with containing and diminishing extremism and fanaticism in the Middle East that would, had Russia not intervened, expand into its territories and even to former republics in Central Asia and in the Caucasus. The Kremlin again views Russia as a great power on a global scale, and as such it cannot ignore a region so close geographically, so rich in hydrocarbons, and so insecure socially and politically as the Middle East. The new Russian tactic will be to support friendly regimes in the region and set up long-term geopolitical coalitions with endeavours to have a military presence in the region with new bases that would include Lebanon, Algeria, Mauritania and Sudan. The strategy of Russia in the coming era will boost the sales of conventional arms, nuclear agreements for peaceful purposes, and oil and gas deals. Moscow will strive to attract foreign investments from China and the Middle East. Unlike the Soviet era in which Moscow was in support of all revolutions and national liberation movements in the world, Russia did not openly support the revolutions and the revolutionaries in any Arab country. Moscow has remained silent about the Arab Spring until the political scene has become clear. By then, Russia has expressed support for the Syrian regime after four years of civil war. However, the Kremlin has been keen to maintain open channels of communication with the rebels in a bid to achieve the greatest possible balance, voicing concern for the internal and regional stability of the Arab states. In the coming era, Putin will engineer a Syrian peace deal, expand relations with Tehran and bolster ties with Iraq, Qatar, Oman, Sudan, Algeria, Mauritania, and Tunisia. However, Moscow will also benefit from its rapprochement with Turkey and Iran and build on its strong ties with Jordan as a key player to the Syrian conflict. The Kremlin will improve relations with Egypt and the Kurds to craft an alignment of partners vis-à-vis Saudi Arabia. In 2011, the Gulf states and a number of other Arab countries welcomed the Russian stand regarding the Arab Spring. The differences in perspectives with Russians were only in the Syrian case where the Arab and Russian positions differed in light of Russian support for the Assad regime. In all cases, there was no official Arab condemnation of the Russian stand as Russia has been rejecting external interference in Syrian internal affairs. Over the terms of Putin’s presidency, he is slated to re-launch new forms of cooperation with Moscow’s traditional partners in the Arab world on new bases, and the forefront of these countries will be Syria, Iraq and Lebanon as they are very close to Russian boundaries. Furthermore, he will set up plans to improve conditional Russian-Gulf relations. Traditionally Russia hasn’t had a special policy toward the Gulf states. The main determinant has been the strategic interest and the pragmatic approach because the Russian influence in the Gulf is determined by American impact in the same region as the Kremlin deals with the Gulf States separately, without considering them as one bloc. The Russian approach in the Arab region is not restricted to political gains or to play a security or military roles to compete with the Americans, but rather Moscow is seeking strategic economic and technical partnership that secures direct economic returns to Russia in fields such as energy sector and military cooperation. The Russian president seeks to guarantee a minimum price for oil and gas and to increase sales of Russian arms to the Middle East. The Russian political administration would seek to open up to various countries, especially the countries of the Middle East to boost its trilateral axis (Russia, China, India) with a new diplomacy based on enhancing its role as a mediator acceptable to all parties in resolving international and regional conflicts and crises. Because the Middle East represents a belt that surrounds the republics of Central Asia and the Caucasus, which Russia considers a vital area, Kremlin has been driven to do the utmost to prevent any threat from the Mideast region by launching preventive measures and pre-emptive procedures. While the world’s attention remains focused on the nuclear brinkmanship and missile launches on the Korean peninsula, the Middle Eastern arms race, pitting Saudi Arabia and its ally the United Arab Emirates against Iran has been slowly heating up and could soon reach a boiling point. The spending boom among the gulf states, the Saudis and Emiratis chief among them, has accelerated in recent years but is not a wholly new phenomenon. Careful observation can discern that increases in Saudi military spending appear to be linked to moments when the House of Saud feels threatened by the growing power of its Persian neighbor. Following the Islamic revolution in Iran in 1979—a moment that also coincided with the takeover of the Great Mosque in Mecca by extremists and Saudi financial involvement in repelling the Soviet invasion of Afghanistan—the Saudis embarked on a spending spree, buying sophisticated weapons from Western countries in the billions. Saudi Arabia has long feared that its leading position in the Muslim world would be threatened after the clerics took power in Iran. Between 1978 and 1982, Saudi Arabia doubled its military expenditures. Again, in 2003, after the collapse of the Saddam Hussein government in Iraq and signs that it would be replaced by a Shia-led government far friendlier to Iran, Riyadh again boosted its arms purchases. Between 2003 and 2015, the Saudis quadrupled their military budget, persisting in large outlays despite the effect that depressed petroleum prices have had on other areas of the government’s budget. With Saudi Arabia feeling new pressures from Iran in recent years, particularly in Yemen, it’s no surprise that its leaders have once again opened the coffers to acquire the latest in military hardware. Last May’s deal between the Saudis and the United States, in which the Americans would supply a package of arms, maintenance, ships, air missile defense, and maritime security totaling an astronomical $100 billion, was followed only months later by a deal between Riyadh and Moscow for the Saudis to purchase Russian-made S-400 air defense systems. According to the Stockholm International Peace Research Institute (SIPRI), Saudi Arabia has spent more than 10% of its GDP on weapons purchases in each of the past three years. For the sake of comparison, the United States has spent, on average, 3.3% of GDP during the same time period while the United Kingdom has spent 1.9%. The UAE regularly spends more than twice as much on military hardware and arms as Iran despite having a population approximately one-tenth the size of Iran’s. 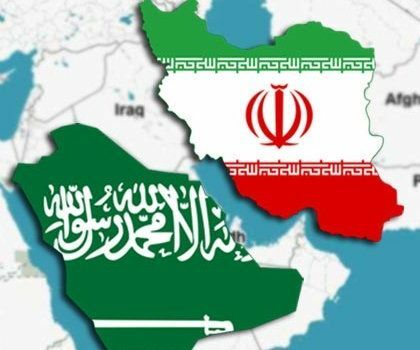 Saudi Arabia remains convinced that its nightmare, a “Shiite Crescent” stretching from Tehran to the Mediterranean, passing through Iraq, Syria, and Lebanon, remains a real possibility if Iran is left unchecked. Both Riyadh and Abu Dhabi lobbied extensively, and unsuccessfully, against the Iran deal, formally known as the Joint Comprehensive Plan of Action (JCPOA), that the Obama administration negotiated with Tehran. Both the Saudis and Emiratis have a fundamental distrust of Iran and suspect that eventually their Persian rivals will renege on the commitments made in the agreement. On the other hand, Saudi and Emirati doubts about the credibility of the United States of America as a strategic ally have risen, especially following the conclusion of the Iranian nuclear agreement and the lifting of the economic sanctions against Tehran. The Obama administration’s decision to refrain from enforcing its red lines on Syria also caused a shift in thinking, with Riyadh and Abu Dhabi convinced they may have to rely on themselves in the event of a conflict with Iran. During the 2012-2016 period, Saudi Arabia ranked second and the UAE third in global imports of weaponry (India, which buys largely from Russia, was first). That four-year period marked a 212% increase in Saudi military spending compared to 2007-2011. There is a secondary reason as well for the large military outlays by the Saudis and Emiratis. Gulf countries seek to win the support—and in some sense, the loyalty–of Western countries such as the United States, the United Kingdom, France and Germany through huge arms deals worth billions of dollars. The Gulf states hope that should their cold war with Iran ever turn hot, their close ties with Western powers—achieved, in part, by decades of weapons deals—will translate into tangible military and diplomatic backing. Yet the alliance between the Gulf states has been marked my mutual mistrust and internecine disputes. During the Obama years, Washington encouraged the Gulf states to build a join missile defense shield against a potential Iranian attack, but the GCC countries could not resolve their disagreements about how and where to do so. Fundamental differences over the Muslim Brotherhood and several conflicts in the region further undermined the alliance, as did the drop in petroleum prices in 2014, which has strained budgets and nerves. While the Yemen war has showcased the close working relationship between the Saudis and Emiratis, it has also revealed the depth of disagreement within the bloc, with Oman and Kuwait declining to participate in the war while Qatar, which originally made a modest commitment of troops, has now decided to withdraw its forces against the backdrop of its dispute with Riyadh, Abu Dhabi, and Manama. The Gulf states are also well aware that before Yemen, they lacked military experience, unlike Iran which fought a long war against Iraq during the 1980s, sent paramilitary forces to Iraq after the fall of Saddam, and has been deeply involved in Syria since 2011. Although Iran has more modest financial resources than its rivals across the Persian Gulf, it too is working to strengthen its military arsenal. In 2017, the Iranian parliament passed a resolution to raise military spending to 5 percent of GDP. In the meantime, Tehran has indicated no halt to its development of long-range missiles, armed drones, and cyber warfare capabilities. In recent years, Iranian arms imports have declined, from nearly $14 billion in 2010 to just above $10 billion the last several years (though it did see an uptick to $12.3 billion in 2016). In the past, Iran has equipped its armed forces with Russian and Chinese weaponry in addition to developing its own indigenous capabilities. Despite its lower spending, most military analysts in the region believe that Iran would remain competitive with its Gulf rivals in any conflict as a result of its more-developed tactical capabilities. As Saudi Arabia and its allies invest their money in acquiring the latest fighter aircraft, tanks, and Western missile defense systems, Iran continues to develop its missile program and its aims of expanding its political and military influence in the region show no signs of abating. Iranian Revolutionary Guard forces maintain a presence in Iraq, Syria, Lebanon, and possibly even Yemen, all of which fuel the fears of Saudi Arabia and its allies over the spread of Iranian influence in the region. Despite the continuation of the economic embargo and the recent street protests over corruption and economic conditions, Iran maintains sufficient financial resources to fund its military and paramilitary influence in a number of the Middle East’s hot spots. The Saudis suspect that Iran’s nuclear ambitions have not been eliminated, only postponed. And thus, the buildup of military capability, and the overall arms race, continues to grow hotter and more dangerous by the day. 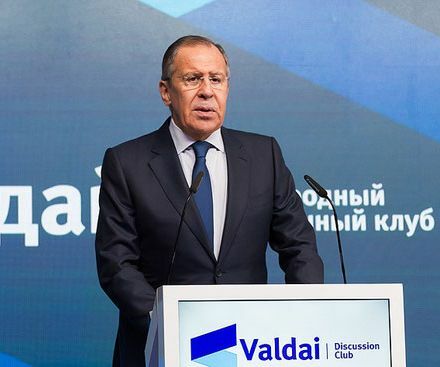 The Valdai Discussion Club — the main expert discussion platform in Russia — last week held its annual conference on the Middle East. It was the most representative Middle Eastern Valdai in history, as it was attended by two foreign ministers (Russia’s Sergey Lavrov and Iran’s Javad Zarif), the deputy foreign ministers of some Middle Eastern countries, former top-level politicians and leading experts and advisers from all over the globe. The conference, which was titled “Russia in the Middle East: Playing on all Fields,” focused on the major regional conflict knots like Syria, Palestine and Israel, Libya, Yemen, and Iran. Russia’s role in the settlement of these crises was discussed but was not the cornerstone of the conference. The conclusions that can be made following the two days of debate are as follows: Russia is standing strong on its positions and is serious about its intention to settle the Syrian conflict through international institutions, alongside supportive formats like the Astana process and the Sochi congress. But Moscow is deeply concerned by the activities of the US in Syria. Lavrov, answering a question on what more Russia can do to improve the current situation, said it is not about what Russia can do but what the US should not. There is a high level of mistrust between Moscow and Washington that threatens the whole settlement process in Syria. Russia initially blocked the United Nations Security Council resolution on a ceasefire in Ghouta, mostly because of its doubts about the intentions of the US and its allies. Russia also stood firm on the exclusion of terrorist factions, such as Al-Qaeda and Faylaq Al-Rahman, from the ceasefire. The tendency to present Al-Qaeda-linked groups as merely militants or rebels started last month and has gained momentum. What does provide hope for the region’s future — and underlines Russia’s potential as a negotiator for peace — is that every year Valdai gathers in one hall representatives from Saudi Arabia, Iran, Israel, Palestine, Turkey, the Kurdish community, the US and others, and encourages them to talk openly. Russia is calling on the international community to work together on the Syrian conflict settlement. It will work closely on the establishment of the constitutional committee that was approved in Sochi. But it has become clear Russia will face severe problems with the Assad regime, as the declaration approved at the conference was modified by Syria — to remove the paragraph on the UN’s dominant role — with no coordination. The speech by Bashar Assad’s media adviser Bouthaina Shaaban made everyone feel that Damascus is far from understanding the real situation and is absolutely unwilling to negotiate. Russia is facing a series of problems in dealing with Damascus and this will be the main challenge to its bid to establish a constitutional committee with the UN’s support. Meanwhile, Zarif called for peace talks and the establishment of a regional security system: A mechanism that would allow the region to openly discuss its challenges. Avoiding the topic of Tehran’s expansionist policies in the region, Zarif highlighted Iran’s readiness to cooperate and negotiate. Iran slammed Israel for its policies, backed by the US, which was not surprising, but the speeches by Israeli representatives really were different. This can be summed up by one passage by former Israeli Foreign Minister Dore Gold, who summed up his speech regarding Israeli support for an independent Kurdistan by stating that the occupied Golan Heights are and will remain Israeli territory. Parrying the statement that such declarations violate international law, he answered that territories annexed following a war of aggression are illegal, but territories annexed as a result of a war of self-defense are a totally different story. Israel, blindly backed by the US, is getting tougher and more impudent and that will, sooner or later, have severe consequences for the regional powers. While Palestinian representatives are giving strong signals that greater Israeli oppression will only produce greater resistance, what is typical for both sides is a total unwillingness to listen to one other. The Yemeni and Libyan conflicts have stalled. We can point to the problems and even draw ideal world solutions, but there is no chance we will succeed in implementing any of them. Russia is trying to facilitate a peace settlement in Libya after being asked by the Libyans to be more involved in the conflict, but Yemen is not its playground. On Libya, there is intense cooperation between global powers, but Yemen seems to be a forgotten war that nobody cares much about. The speeches at the conference seem to suggest relations are degrading toward further escalations and confrontations. The problem in all these cases is like so much in the region: We are all speaking but not talking. We hear but do not listen. The Middle East is ruled by fear and mistrust and that engenders new phobias and misleads individual players and their global allies. But what does provide hope for the region’s future — and underlines Russia’s potential as a negotiator for peace — is that every year Valdai gathers in one hall representatives from Saudi Arabia, Iran, Israel, Palestine, Turkey, the Kurdish community, the US and others, and encourages them to talk openly. The Middle East has entered the nuclear age. The existing strategic equilibrium in the Middle East is shifting as the region seeks a new balance, an equipoise which has been in perpetual flux over the past 30 years. The Arab-Israeli and the Iranian-Arab conventional weapons race began in earnest in the mid-1980s. Some countries plunged into nuclear others into biological, chemical and ballistic missile systems. Since then, the new strategic dimensions have become part and parcel of imbalance ever since. Many atomic states are on a hair trigger in the Middle East, which is the most capricious and volatile region which has been witnessing gigantic political transformations in the past two decades. When American president Donald Trump said that he would revise the nuclear deal with Iran if he wins in the elections, the Middle East has started to change. Many countries started to think of means to get nuclear plants for energy. The question is which countries are making nuclear arms or which countries have the ability to produce them in the Middle East? Two countries for sure: Iran and Israel. Since 2000s, Middle Eastern countries have voiced their interest to have their own peaceful atomic nuclear programs, including Algeria, Egypt, Jordan, Morocco, Tunisia, Saudi Arabia, and the United Arab Emirates. The Middle East states have announced their atomic energy plans in response to Iran’s stagy progress towards nuclear supremacy. The reason behind the deal with Iran was to thwart any bids by Tehran to have a bomb which would lead to a nuclear race in the Middle East. Arab countries’ fears are not far-fetched. They have started changing their military doctrine since1991. Arabs, mainly in the Gulf region, started looking for tactical and strategic non-conventional weapons to make a balance of power with Iran by securing clear inclination for technological advances and institutional torpor and apathy to proceed at their own impetus. The Middle East states, after the gradual pullout of the American troops from the region, have been undergoing a state of transition at all levels — strategic, political and economic, militarily structural to reach the point of “balance of terror” with their enemy: Iran. Debate over Iran’s nuclear program has heated up since the beginning of 2000s. Even after Tehran reached a nuclear deal with the international community, the USA and other countries still accuse Iran of seeking to build nuclear arms. Tehran for its part denies these accusations and says Iranian reactors are for peaceful purposes to produce energy. Though Israel and other Arab countries tried hard to foil the attempts to sign the nuclear deal with Iran, Middle East countries are heading towards atomic arms race, fueled by fear of Iranian expansionism and resurgence, mainly from Saudis and Emiratis. Both Israel and the Arab countries have at present one enemy: Iran. 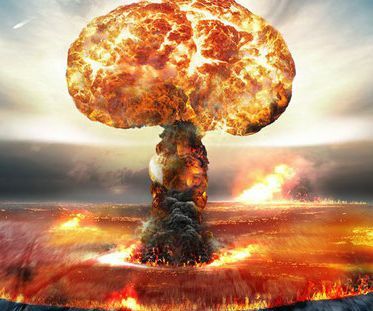 Israeli and Arab fears from Iran are much bigger than having a nuclear bomb but rather an existential threat that can turn Tehran into an independent atomic capability. Sunnis in the Gulf, particularly in Saudi Arabia and the UAE, view Iran as a religious risk, fueling proxies and threatening the stability of the Arab world through Tehran’s endeavours to revive Shiite states in the heartland of the Middle East region. Since Iran is regarded as a political rival since 1979 Revolution, which has been threatening the Arab monarchies, Arabs started to think of having a deterrent weapon that can curb Iran from continuously interfering in their internal affairs and intimidating their people. In 2016, Al-Riyadh daily commended Saudi Arabia to start preparing an atomic program for peaceful purposes” to have the first Saudi nuclear reactor operational by 2030. Though there are rumors that Riyadh has purchased “off-the-shelf” atomic bomb from Pakistan, this has not been confirmed by either of the two countries. Thus, a nuclear arms race in the Middle East has also dragged other countries. Middle Eastern states may have genuine reasons and authentic motives to invest in nuclear power. For example, Jordan has almost few quantities of oil and gas; this has prompted the government to ask the Russians to help set up a nuclear power plant to produce energy. However, Saudi Arabia and the UAE have colossal crude reserves. Turkey also imports huge amounts of oil and gas to produce energy. Thus, it is in dire need of nuclear plants for this purpose. Within less than a month, Saudi Arabia will unveil the names of companies winning the tender for the construction of two nuclear power reactors, scheduled to start at the end of this year 2018, in a move Riyadh aims to enter the nuclear club for the first time in its history. Under the framework of the National Atomic Energy Project, Saudi Arabia aims to build 16 nuclear reactors over the next 20-25 years, which are to be under the supervision of the King Abdullah City for Atomic and Renewable Energy and are aimed at enabling the country to benefit from the peaceful uses of nuclear power. Washington’s approval for the Saudi move remains one of the main dilemmas facing Riyadh, and it is expected that it will top the agenda of Crown Prince Mohammed bin Salman during his visit to the United States early March which will take him to other states as well. Donald Trump’s administration faces a critical position in this regard as negotiations between Saudis and Americans on nuclear energy had reached a deadlock. Trump knows that American companies are competing with Korean, Chinese and Russian. If he seeks to support the American companies in this deal, he has to give the green light when Prince Mohammad bin Salman visits Washington in March 2018. With this he has to abandon certain controls that restrict nuclear proliferation. Thus, if Saudis reach agreement without any restrictions, it would be a remarkable shift in US nuclear policy since 50 years. Analysts view this case as a new test for Trump’s negotiating skill as well as his son-in-law Jared Kushner who visited Riyadh several times. It seems that Kushner has prepared well in anticipation of the upcoming visit of Mohammed bin Salman to Washington to conclude the deal in favor of “Westinghouse” company. November 2017, Russia’s energy minister, Alexander Novak, expressed Rosatom’s interest to be involved in building nuclear power plants in Saudi Arabia. The company presented its offer during the meeting of the Custodian of the Two Holy Mosques King Salman bin Abdul Aziz with Novak, and discussed ways to strengthen and develop bilateral cooperation in the fields of energy. The Russian company has applied to participate in the construction of two nuclear reactors in the Kingdom. In mid-December 2017, Moscow and Riyadh signed a roadmap for cooperation in the field of “peaceful nuclear energy” to promote cooperation in the field of atomic power. The signing of the road map has coincided with Riyadh’s announcement that it intends to build 16 hydroelectric reactors over a period of 20 to 25 years at a cost of more than $80 billion, as well as other small desalination plants. On the other hand, a Saudi-Korean meeting revealed several months ago the completion of more than 20% of the engineering designs of the SMART reactor and the completion of the success of the first and second stages of the human development program for Saudi engineers participating in the project. Jordan imports over 95 per cent of its power requirements, at a cost of about 20 per cent of its GDP. In 2007, Jordan set out a program for atomic energy to provide 30 per cent of electricity by 2030. In 2015, Jordan signed a US$10 billion agreement with Russia to construct the first nuclear power plant in the kingdom with two reactors to produce 1,000 megawatt power. The construct is expected to finish by 2022. According to the agreement, Jordan will buy fuel from Rosatom for both reactors for 10 years. The UAE is due launch the Arab world’s first nuclear power station in summer 2018; the other three plants will be commissioned by 2020. Once the four nuclear power plants are fully operational, they will produce 25 per cent of the country’s electricity demand. By 2050, The Barakah nuclear plant will deliver up 50 percent of the country’s power requirements. The UAE has committed not to enrich uranium itself and not to reprocess spent fuel. Russian President Vladimir Putin met in Cairo on December 11, 2017 with his Egyptian counterpart Abdel-Fattah el-Sisi where a delegation from both countries signed an agreement to launch Egypt’s atomic energy plant at El -Dabaa. Rosatom has announced that construction work on the El-Dabaa plant, which is located west of Alexandria, had started end of December. The Russian company will service the plant’s four reactors for 60 years. To sum up, the major countries surrounding Israel and Iran are setting out plans to have their nuclear power plants. If Sunni Arabs become nuclear-armed or even just nuclear-capable, the strategic advantage Israel has enjoyed for more than 40 years will disappear and the ballistic missile technology that Iran prides itself with will vanish. Though the Israelis know that the Arab target is Tehran not Tel Aviv, will the Israelis approve the nuclear trend of the Middle East? Failure to reach a Palestinian-Israeli peace agreement or a settlement to the current Arab-Iranian conflict would lead to further escalation and tension, a prelude to armed conflict or external intervention. King Abdullah II of Jordan visited Moscow on February 15 to talk with Russian President Vladimir Putin and senior Russian officials as well as clergymen. Jordan feels isolated because of the Jerusalem issue and other regional crises, and it is particularly vexed about two matters regarding the ongoing Syrian civil war. First, Amman does not want to be a magnet for extremist and terrorist groups. The king’s message to Putin was to keep Jordan out of the fray as much as he can. Second, Amman will not accept any spillover from the Syrian conflict and will not bear any more influx of refugees. “I do feel that the international community has let down our people, who have paid and shouldered the burden of responsibility of 20 per cent of our country of Syrian refugees,” the king said in a recent interview. The quest by the Trump administration, Saudi Arabia’s Mohammed bin Salman, and Israel’s Benjamin Netanyahu to pass the “century deal” at the expense of the Jordanians and Palestinians has left Jordan questioning its alignment with Washington, Tel Aviv, and Riyadh. It is now looking to both Moscow and Ankara for support in its stand against Trump’s recognition of Jerusalem as Israel’s capital. 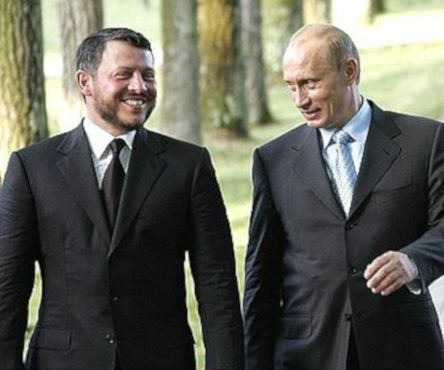 King Abdullah II has visited Russia 19 times since his ascension to the throne in 1999. This latest visit is significant because of the delegation accompanying the king, which included the Chairman of the Joint Chiefs-of-Staff Mahmoud Freihat (who is also the king’s military adviser), Adnan Jundi (the director of the General Intelligence Department, and National Policies Council Rapporteur Prince Ghazi bin Mohammad. Thus, talks focused on countering extremism and combatting terrorism. Given that Russia has between 2,000-5,000 of its own citizens fighting in Syria with armed groups, and Jordan has very good information about these groups, the two countries have vested interests in greater cooperation at the intelligence level. Bilateral military cooperation has been improving since 1999 between both countries with a number of deals such as “Kornet” anti-tank systems and the portable “Igla” ground-air defense system. Moscow has already started producing RPGs in Jordan as well. Sources close to the Jordanian and Russian governments believe that 2018 will be special for both countries as they mark the 55th anniversary of establishing diplomatic ties. The king commended Russia’s supportive role in promoting a peaceful settlement of the Palestinian-Israeli conflict. For the first time, the king feels he is closer to Russia than to any other international power. At the moment, Jordan is seeking Russian military assistance in southern Syria to keep that area a safe haven, and to avoid any further escalation between the Jordanian army and Israeli forces, which erupted earlier this month and led to the downing of an Israeli F-16. Jordan is also concerned about Iranian efforts to expand its influence in Lebanon, Iraq, and Syria. Since Iran is a Russian ally, Amman hopes that Moscow can pressure Iranians to stay away from Jordanian borders and avoid skirmishes with the Jordanian army or with the Israeli troops. At this point, Jordan does not want further deterioration of security on its borders because it has its own internal security and economic concerns. That was the main reason for the separate ceasefirefor southern Syria brokered by Washington and Moscow in the summer of 2017: to address apprehensions by Amman and Tel Aviv about Iran’s military presence in areas adjacent to Jordan and Israel. King Abdullah II is also looking for greater Russian support for its custodianship of the holy sites in East Jerusalem. Thus he met with Vladimir Gundyayev, the patriarch of Moscow and the rest of Russia, to discuss the peaceful coexistence between religions. Both sides stressed the interfaith dialogue that Jordan has been calling for since a long time ago. The king also met with Sheikh Rawi Ain El Din, the president of the Council of Fatwas in Russia, and other Islamic scholars, to convey the message that mosques can play an important role to promote a tolerant Islam that repudiates violence and hatred. Jordan can also play a role in the Muslim community in Russia since the kingdom has very strong ties with the Muslim republics in Central Asia and in the Caucasus. “We have a duty to uphold the true tolerant image of Islam,” said the king. Jordan and Russia are currently building on their common interests. Moscow needs a pragmatic partner in the region that can help Russia acquire a more influential role in the Muslim world. Amman regards Moscow as an honest broker that can mediate between Palestinians and Israelis to resolve the deadlock. Russia’s decision to include Jordan in the Syrian peace negotiations in Astana, Kazakhstan, is another sign of the growing relationship and of Jordan’s efforts to further hedge its bets with the United States.